This is our last and FINAL updates on our…. 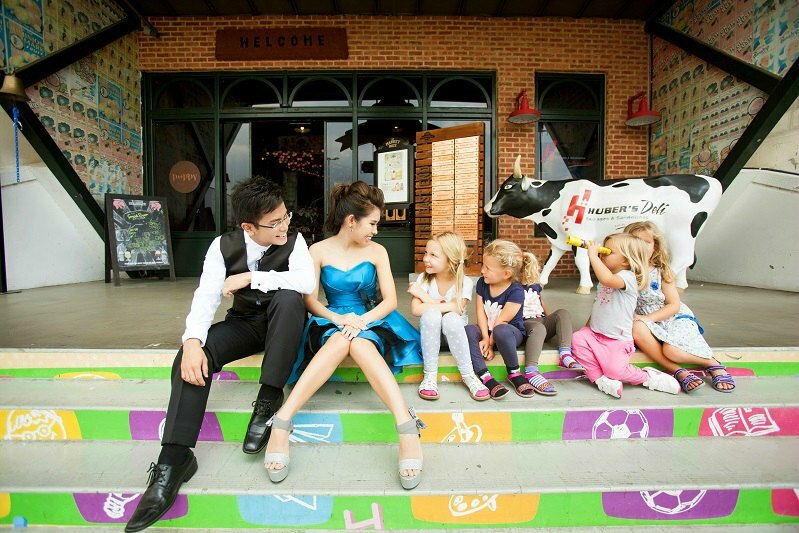 My Dream Wedding SpokesCouple: Wedding Photoshoot Feat. Mynte Fingers Bridal Nails! As most of my faithful readers would have known, Mynte Fingers is my Official Nail Sponsor for Casperlyn Wedding. Mynt have been helping me with all my nails, from Hen’s Party, Wedding Day and Wedding Photoshoot. 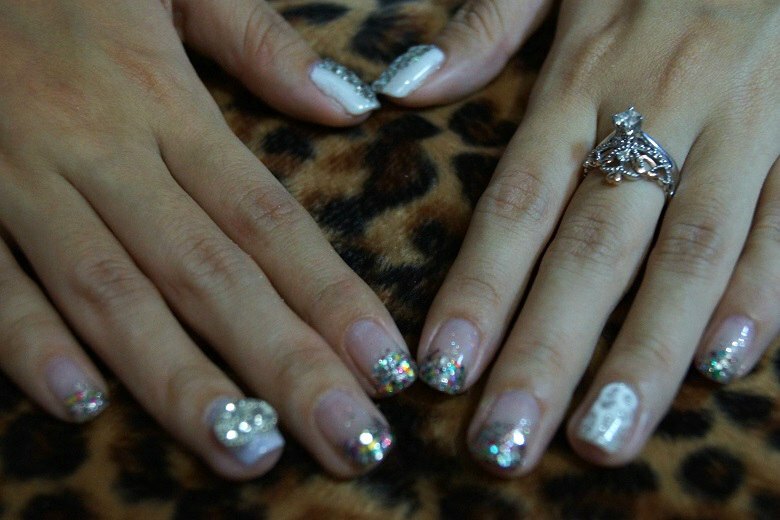 Thanks to Mynt for the wonderful experience in making Bridal Nails for Bride-to-be a hassle-free process. Now is time to soak off my wedding day nails. Let’s scrub off the Manicure designs we did previously. Time to paint the top coat. Time for the SUPER FAST LED Light Machine. p/s Do not compare Mynt Machine speed with those outside coz outside uses UV Light and Mynt’s is LED Light. Relatively Mynt will be faster. Since my gown chosen at My Dream Wedding is Simple and Sweet, Mynt decided to do a simple design too. Tadah, do you love my nails like I DO?! I love the colourful sparkles alot!!! I also want to highlight the hand-drawn laces on my Ring Finger! It’s so pretty. I also like Mynt for her wide range of crystals designs. They made my nail simple yet sophisticated! This design is simple and sweet and it is designed by Mynt herself. I also love how she manage to incorporate my Love for Blingss Blingss into a simple design. 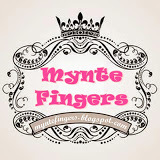 Check out Mynt’s Blog on her post on my NAILS~! Hen’s Night manicure for Gerlyn! For those we are new to My Dream Wedding, here is my short intro about them. 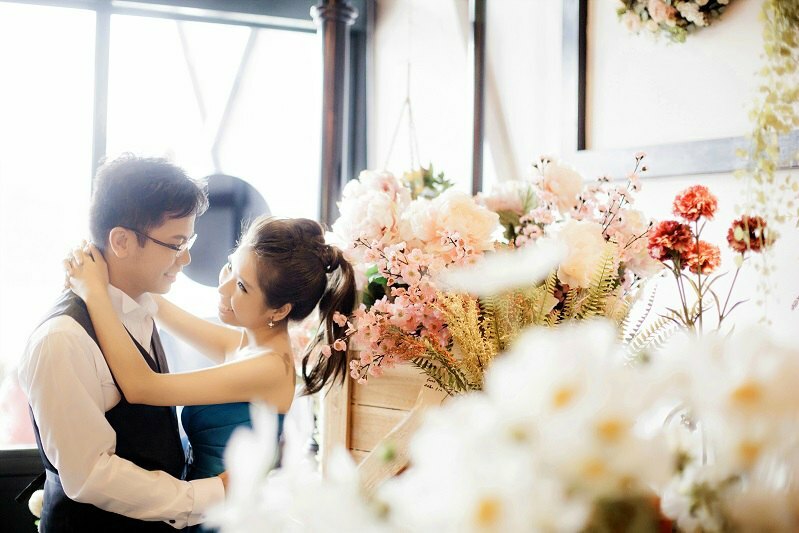 They are a Hong Kong Bridal company which set up a branch in Singapore @ 33 Tras Street # 01-01, Singapore 078973. 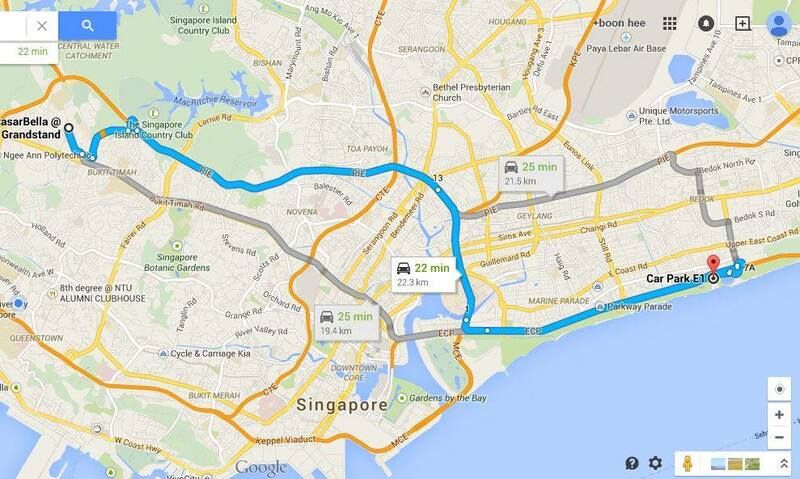 It actually better know as the stretch of bridal shop at Tanjong Pagar. There is a lot of similar names in market but please don’t be confuse. Just remember My Dream Wedding is from Hong Kong and most of their staff is from Hong Kong and they send their photos and MVs for editing in Hong Kong too. 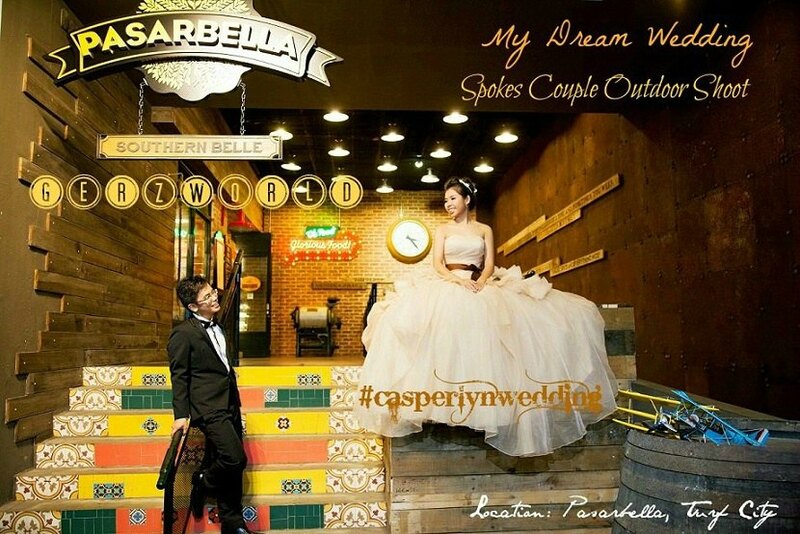 Casper and I is also very glad to be My Dream Wedding Singapore First ever Spokes Couple. As it’s name have said, we are like their spokes person so the photos taken will also be use as advertisement too. 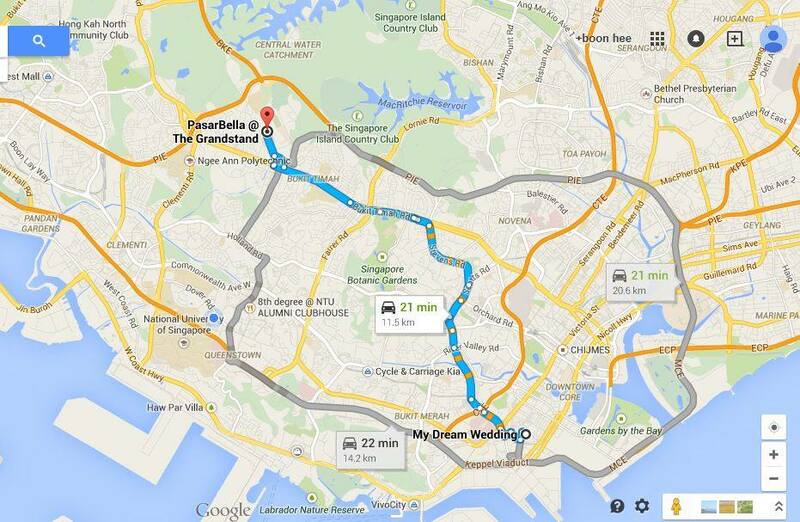 The First location we went is PasarBella at Turf City. This location were chosen by My Dream Wedding Photography and Sales & Marketing Department. First reason being is that they have had recee this place and found the happy ambience here suits our bubbly character. Second reason is that the Photographer knew one of the management here and we dont need to write in to apply permit. Thats why we choose here! To Note: For those who wanted to take photoshoot here, it’s recommended to write in for permission before you come. 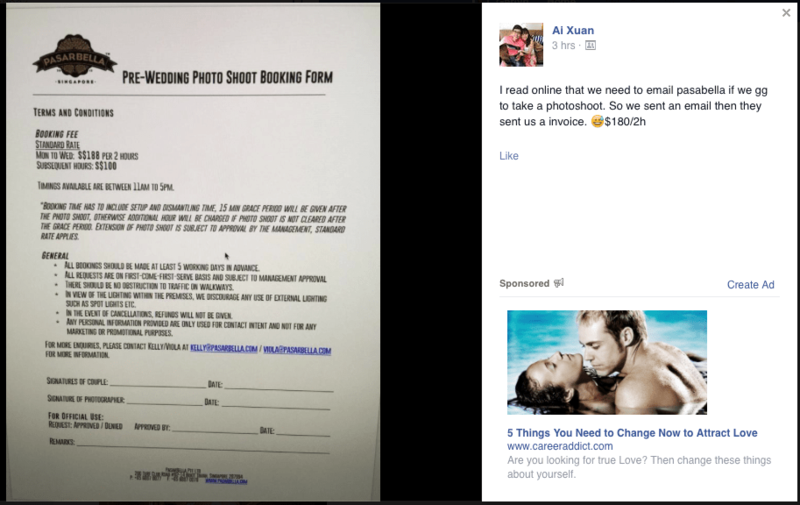 All couples will need to pay $188/2hrs to take their photoshoot here. So ya, please do take note that you will be required to do advance booking of at least 5 working days. Worth it? Hmm.. Very hard to say. Depends alot on what you are looking for. I will say i took the most photos from Pasarbella because I like this ang moh market feel. But it boils down to you, if you pay for this location, then if the photos screws up then u will be very sian one coz u need to take the photos but the photos not nice. But you dont take then waste $$$ take the photos oso waste $$$$ .. I also dunno how to advise you. Ask your husband to be whether he willing to pay anot lo. If not willing then dun go la. Simple as tat! Unless u say the first time u paktor is at Pasarbella then win liao lo. Oh ya, thanks Ai Xuan for sharing! There are super cute and feeling curious about us. The Second location we went is East Coast Park. 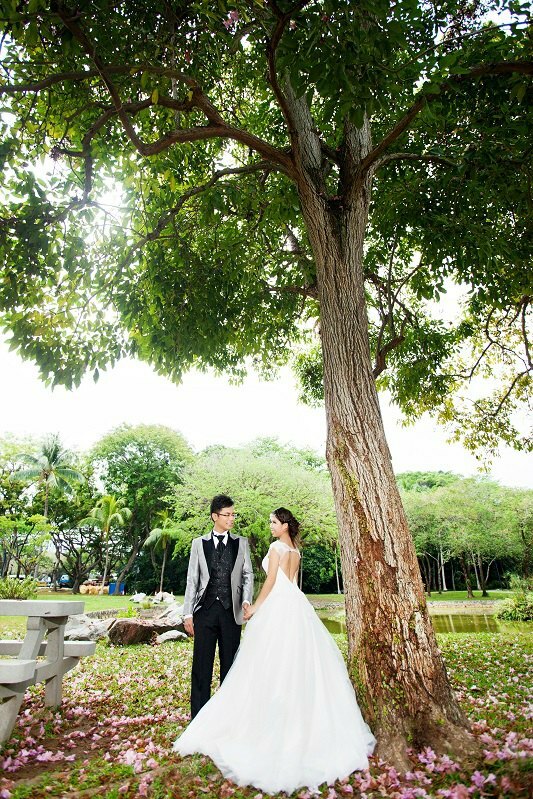 The location was highly recommended by me, because I mentioned to My Dream Wedding’s Marketing Department Alex that I wanted to take photos with Singapore Sea View as Singapore is well-known for our Clean Beaches. I also did not have a chance to take Wedding Photoshoot with the Sea in broad daylight, previously I had taken a shot in Sunset with my Taiwan Bridal. So it would be a perfect scenario to have a Beach Scene in this special photoshoot session. Indeed, the beach scene did not disappoint me. The clouds, the sea, the breeze were welcoming. Lastly, we went under the tree as directed and stand on the table. I was quite sceptical on how the photos will turn out, in the end. It surprised me by giving me a Miniature Feeling. We felt we are like the dolls spinning in the musical box. Once again before I end my last blogpost for My Dream Wedding, I would like to thank everyone in My Dream Wedding Singapore for making this Dream Wedding Photoshoot Experience Possible. Alteration Department for working OT to alter my White Wedding Gown. 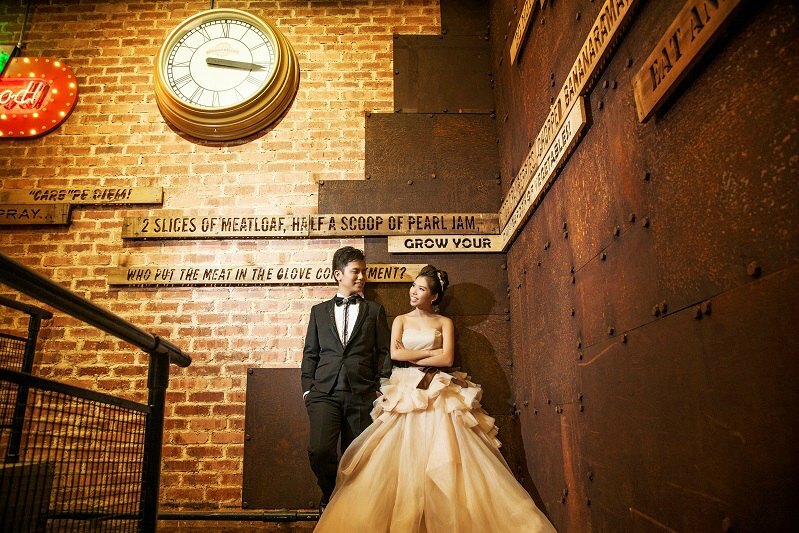 Management Committee of My Dream Wedding Singapore for hosting this contest and for choosing us as your SpokesCouple. This is indeed a memorable experience for us to be treated as model and to have first hand experience on marketing and choosing gown not based on your personal preference but based on market needs. 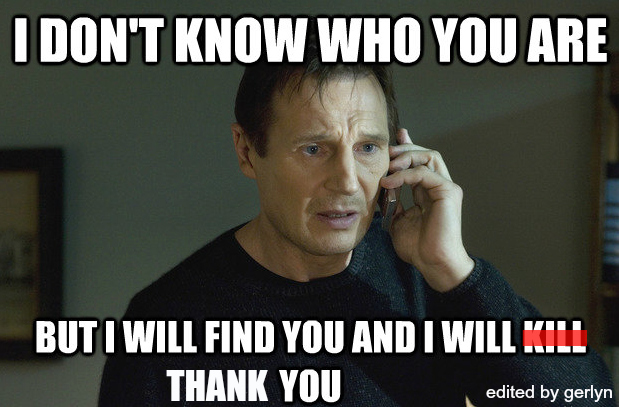 Lastly we would like to Thank You for voting for us! There are about a thousand people from all walks of life that like us. P/s This is our 100th Blog post~!! Woohoo!! We blogged a hundred blogpost in just 1year! 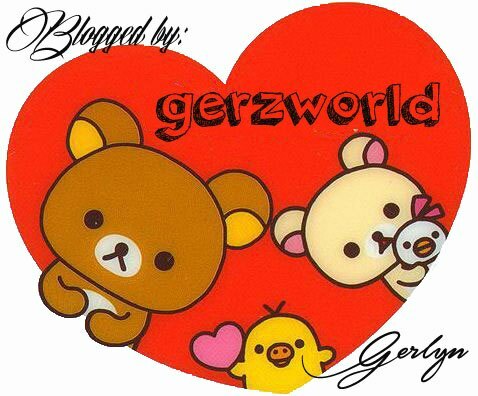 Lastly, on behalf of Ger’z World I Wish You A Merry Christmas! Wonderful photoshot taken. You are photogenic.